Nashville Mayor Megan Barry has stayed silent on a spike in Latino construction deaths as her city bids for Amazon. NASHVILLE, TENN. — Few cities in America want Amazon’s second headquarters and its expected 50,000 jobs more than Nashville. However, the clamor to attract Amazon has reignited a debate over the city’s construction safety crisis, which saw a record-breaking three workers get killed this summer alone. Landing the new headquarters would help bolster Nashville’s growing tech status, but also cement Nashville’s reputation as the next “it” city, where a hip music scene and nightlife, affordable housing, and nearby mountain recreation continue to attract rent refugees from the East Coast. Nashville may also prove attractive because of its lack of unions and personal income tax, and Tennessee officials’ tendency to give massive tax subsidies to companies like Volkswagen, which has received over $800 million to locate and expand its American factory in Chattanooga. However, Nashville Mayor Megan Barry and other city leaders are concerned that the city’s lack of public transit and notoriously bad traffic could dissuade Amazon. Therefore, Barry is proposing “nMotion,” a record-setting $6 billion public transit plan—what would be the largest public works project in Nashville in a generation. The plan could not just transform the city’s transit, but, some worker safety advocates hope, the way the city does business. In an attempt to shift the conversation away from corporate welfare and toward sustainable investments, Homes for All Nashville, Music City Riders United, Democracy Nashville, and Amalgamated Transit Union Local 1235 have joined together to launch the People’s Alliance for Transit, Housing, and Employment (PATHE). Last week, PATHE marched through the neighborhoods of Edgewood and Wedgewood Houston, as well as through the Napier-Sudekum affordable housing project, to draw attention to the need for a new form of investment in Nashville. One area that particularly distresses many local activists is that labor conditions that will be placed on the contractors tasked with building the transit project. Many Latino workers are moving to Nashville to work in the construction industry, as Nashville’s population has grown by 11.6 percent between 2010 and 2016, according to U.S. Census population estimates. Throughout the last decade, the Latino population of Nashville has doubled, with Latinos making up 10 percent of the population of the Nashville Metro area; throughout the next twenty years, Latinos are expected to make up 34 percent of the population. However, a recent survey of construction work in Nashville found that the average wages for construction workers are a mere $14 an hour. Many construction workers in the city are outraged at what they see as a lack of attention by the Mayor’s office on the construction safety crisis striking the city. Just this summer, three workers were killed while working on construction sites. In late May, 30-year-old Sergio Gutierrez, a Guatemalan immigrant, was electrocuted to death while working on a residential home construction project. Then, in July, 42-year-old construction worker Fausto Flores fell four floors to his death while working on an apartment. In August, a third man was killed when a stairwell collapsed, and the worker fell three floors to his death. The deaths this summer bring the total number of construction workers who died in Nashville this year to five. Workers here say that the deaths are symptomatic of a culture that promotes quick construction at the expense of workplace safety. “They treat us like mules,” says construction worker Ernesto Rivera. According to a new report released in May by the Partnership for Working Families, Workers Defense Project, and University of Illinois at Chicago Professor Nik Theodore, titled “Build a Better South: Construction Working Conditions in the U.S. South,” Nashville is currently the most dangerous city in the South for construction workers. Twenty-four percent of construction workers surveyed said that, within the last year, they had obtained a job through a temp agency. Another 24 percent of workers surveyed said they had been injured during their construction careers, while 10 percent of workers was saying they had been injured in the last year. Among those hurt on the job in the past year, only 19 percent reported having their medical bills covered by their employer or receiving any form of workers compensation. Workplace advocates are saying that the mayor’s push to rapidly expand public transit could provide an opening to change the conversation on workplace safety in the city. Worker groups are beginning to organize under PATHE, Workers’ Dignity, and other associations to call on the city to do more. They say that they will be closely watching the process to see how contracts are awarded. “We want [the city] to be more transparent. People have to know what that project is, how many jobs, what the job’s like, and are the jobs safe,” says Workers’ Dignity’s Perez. Mayor Barry’s office claims that it has already implemented some changes, which include requiring contractors to file safety plans and undergo bilingual workplace safety training. Her office contends that it is open to making more changes in how it awards contracts, but that the office is limited by state laws that often preempt municipal attempts to enforce workers rights. In 2015, Nashville passed an amendment that required 40 percent of all hires on projects funded by Nashville to come from the Metro Nashville area. The law was later overturned by the Tennessee Legislature because state law strictly prohibits municipalities from setting such rules. However, worker advocates say that they are upset by the silence of Mayor Barry on the death of these latino construction workers. While Mayor Barry has given speeches touting the success of Nashville’s hockey team, The Predators, and her hope to lure Amazon, she has so far remained silent on the construction safety crisis in her city. 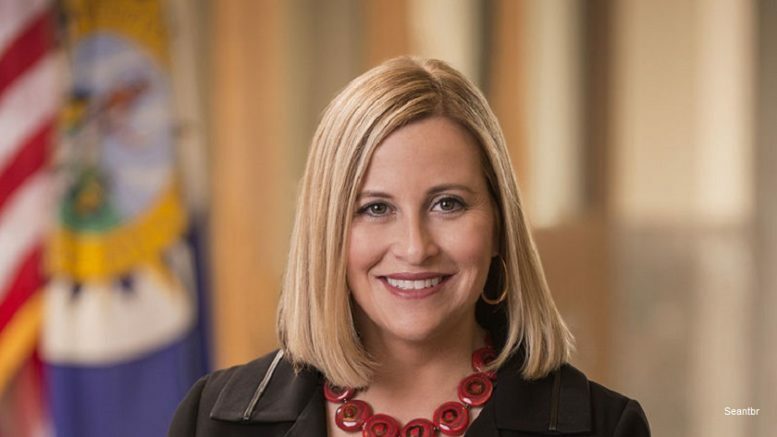 The Mayor Barry’s office declined repeated requests for comment throughout the summer regarding the deaths of three latino construction workers. Workplace safety advocates have put pressure on her to set up a city task force to pay for the burials of undocumented Latinos killed on construction jobs and to assist families grieving from the deaths of loved ones. So far, Barry isn’t talking, and her office did not return a request for comment. The workers here aren’t dissuaded and are gaining allies from community and labor groups in their quest to build a better Nashville. Be the first to comment on "As Nashville Bids for Amazon, Mayor Stays Silent On Spike in Latino Construction Deaths"